WhatsApp growth is not slowing down as many believe, in fact if anything it has online accelerated. WhatsApp numbers are astonishing to say the least. They have now crossed 800 million monthly Active users of which 100 million new users have been added in last 3 months alone. Simply put they are adding over 1 million users every day! Jan Koum co-founder and CEO of WhatsApp posted an update on his Facebook page announcing this milestone. He highlighted the fact that 800 million are active and registered users who have accessed or used WhatsApp atleast once in a month! If you look at users alone, meaning people who have WhatsApp installed on their phones, but haven’t used it, the number is far more than 1 billion. Their Android App alone has been downloaded over 1 billion times, and WhatsApp reached that milestone earlier in March 2015. Here is the tweet by Jan Koum from March 11, when he announced this milestone. 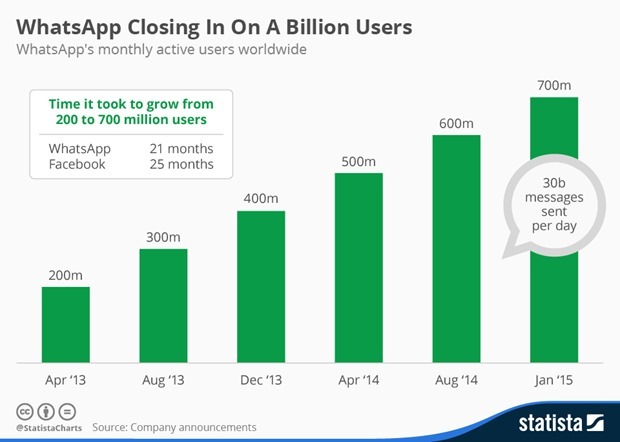 There is a reason why WhatsApp growth is only accelerating. First and foremost, after Facebook acquired them for whopping USD 19 billion, they have a parent company which has unlimited supply of cash. They do not have to worry about finances. Due to this, they are able to purely concentrate on bringing new features and innovations to WhatsApp. In Jan of this year, they launched WhatsApp Web, where users can send and receive messages even through their Desktop. Earlier this month, they activated their much talked about free voice calling feature to all the users. And although, we found that their voice quality is not top-notch, I’d not be surprised if they have already become one of the global top 3 voice calling services given their incredible user base. And if you look at some of the numbers that WhatsApp is churning out, you will not be left with any doubt that they are on their way to become the largest communication service in the world! Have look at the graph below – These were their numbers in January of this year. WhatsApp was logging 30 billion messages per day – that average was over 50 percent higher than Global SMS volume. Here is a look at Facebook’s time line over the years. 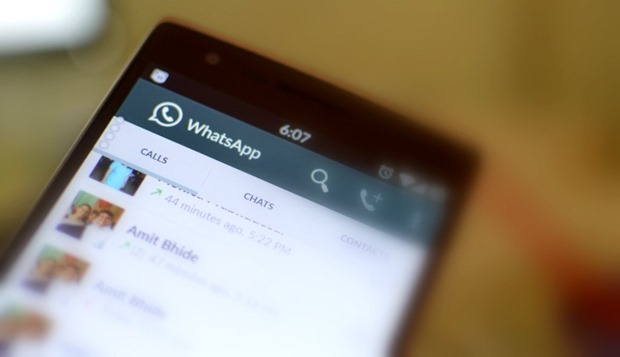 "WhatsApp Now Has 800M Active Users, 100M Added In Last 3 Months! ", 5 out of 5 based on 1 ratings.